Click here to view a printable Pricelist. We can usually match the colour swatches of your fabric. 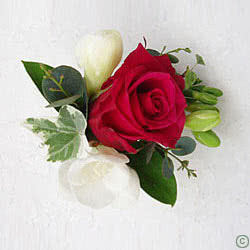 Artificial flowers are also available. 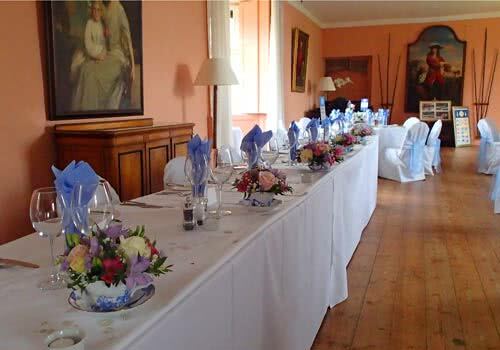 We deliver to individual houses, the church or registry office and the reception venue. Delivery charges apply to each individual address. 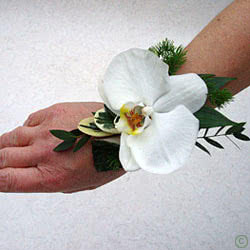 Alternatively, please email Fleurtations the Wedding Florists for details. Please note: We also offer a huge range of gifts including Belgian chocolates, soft toys and a range of wedding cards, wrapping paper, gift and bottle bags. 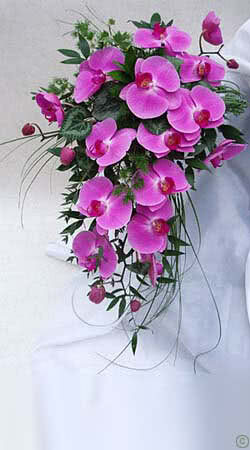 Prices vary according to the size of bouquet (length and width), and the variety of flowers used in it. 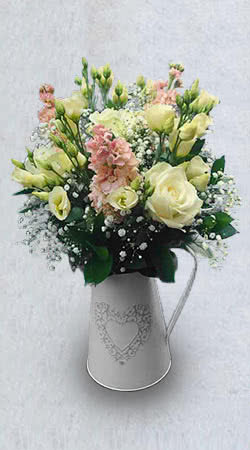 Roses, Carnations and Freesia for example are considered standard flowers and are available in a wide range of colours. 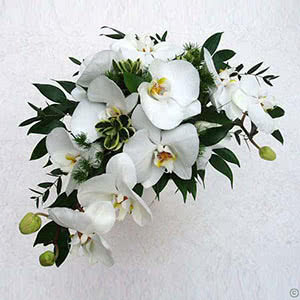 The use of Stephanotis, lily of the valley and orchids however, will increase the cost. 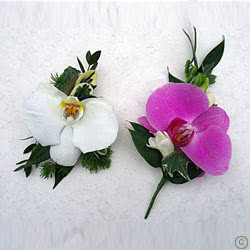 Other hairpieces can be made to your own design or shape, or you can have individual flowers to put in your hair. Books are available to look through for ideas, or, if you have your own picture we can work from that. For bridesmaids headdresses see Bride Pricing. (Other flowers available on request). Family buttonholes, corsages etc. 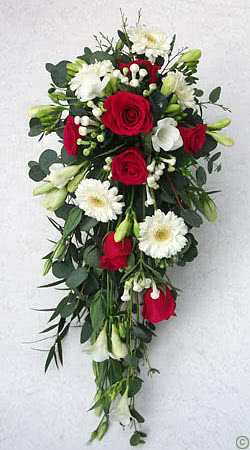 can be delivered to the bride's and to the groom's houses on the day. Other displays are available, individually priced according to your requirements. 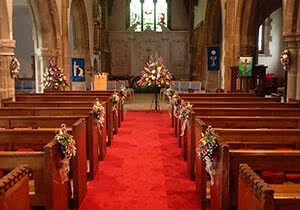 A florist will visit the church or registry office if necessary. All venue displays will be delivered directly. 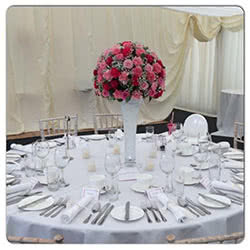 A contact telephone number is required for each venue in order for the florist to liase with the person concerned for access. Reception displays are delivered to the venue. Thank you doesn't seem enough. From the very first meeting with Gemma through to our Wedding day, the service and quality of the flowers you designed and beautifully made for our wedding day were absolutely stunning. They were everything I asked for and more - and I was so specific with what I wanted!! The colours, the style, everything was perfect. The arrival of the flowers saw my first tears of the day - they were overwhelming. So beautiful. I handed the table decorations out to close friends and family as thank yous and, on return from my honeymoon 3 weeks later, they all said they were still alive and looking beautiful. Thank you once again for helping to make our Wedding day absolutely perfect. Just wanted to Thank You for such beautiful flowers on our Wedding Day. The Brides and Bridesmaids bouquets were absolutely gorgeous! I've never seen such beautiful roses...and the scent was wonderful. The mothers were also thrilled with their bouquets. You helped to make our day perfect! 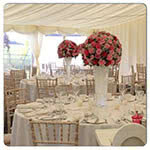 To all the staff who arranged the beautiful flowers for Sarah and David's wedding on Saturday 18th June. I wish to thank you very much they made the reception room look fantastic and the tables. The Lakeside took a photo of the room for their coming brochure, they were so impressed! Well done!! I have no hesitation in passing on your good names and excellent service to friends and family. Thanks once again for the hard work! Just to say a very big Thankyou for our wedding flowers. Just a note to say thankyou for the fantastic job you made of the brides and bridesmaids bouquets for our wedding on September 2nd. Just like to say a very big Thank you for my wedding flowers on Saturday 5th July. Just a little card to say a big thank you for the gorgeous flowers you did for our wedding, they were out of this world! Your time and effort really payed off and we were over the moon. We had a fantastic day and thank you for your input! 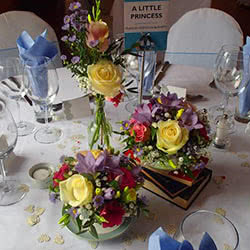 Thank you so much for the wonderful flowers you did for Liz and Martins Wedding at Eastwood Hall on Saturday 16th November. They were really beautiful and all our guests admired them. May I express my gratitude for the way you organised the flowers for my daughters wedding on august 23rd. The bouquet, table decorations and buttonholes were perfect - just as we hoped they would be. We had a wonderful day and Thank You for the part you played. 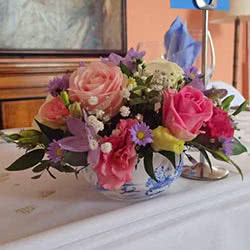 Just a note to say thankyou for the fantastic flowers for our wedding on 20th July 02. 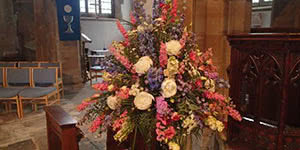 The bouquets, button holes, corsages, church and reception looked great. You were recommended to us and I'll certainly pass the recommendation on. Just a thank you for the beautiful wedding flowers you did for michelle's wedding and also for the arrangements at the church and reception - they were perfect. P.S. Thanks to the people who delivered and arranged them. The church and reception looked really beautiful. Thank you so much for the flowers, they were beautiful and really made the day. Will email photos when we get them. 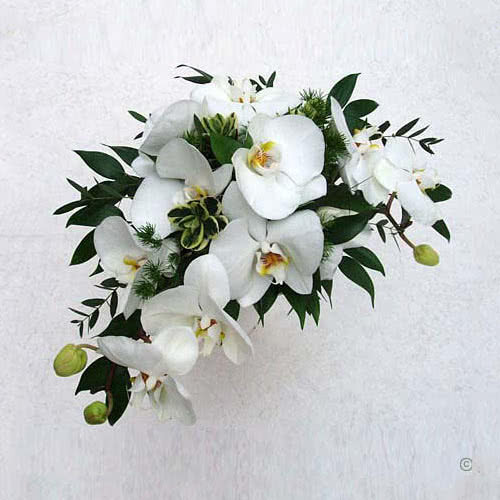 It was so nice to be able to order from you whilst in Nottingham a few months ago, you did the flowers and buttonholes for me and my husband for a small marriage blessing ceremony so I remember the shop well. I will use you for all my future flowers for my relatives in Nottingham but it's so nice to have had personal experience with your shop so I know who I am ordering from. Just to say thankyou thankyou thankyou thankyou for the beautiful flowers you and your team prepared for us for our wedding. 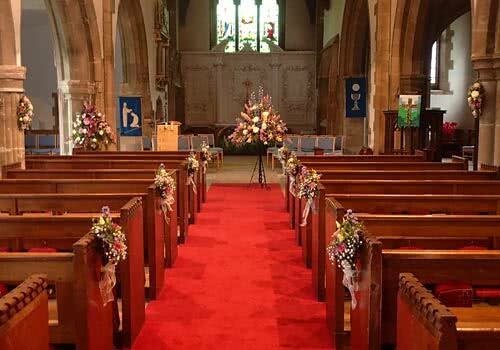 I would like you please to pass my thanks on to Gemma and everyone else who helped to deliver and prepare the bouquet, posies, buttonholes, table decorations and pew ends. I have (of course) told everyone who asked "who did my flowers". Thank you very much for organising the flowers for our wedding. 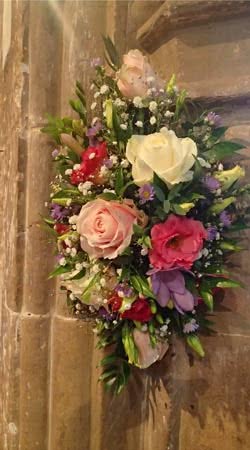 They really looked amazing in the church and at "Lakeside", we've had many lovely comments about them and they lasted well after the event too.